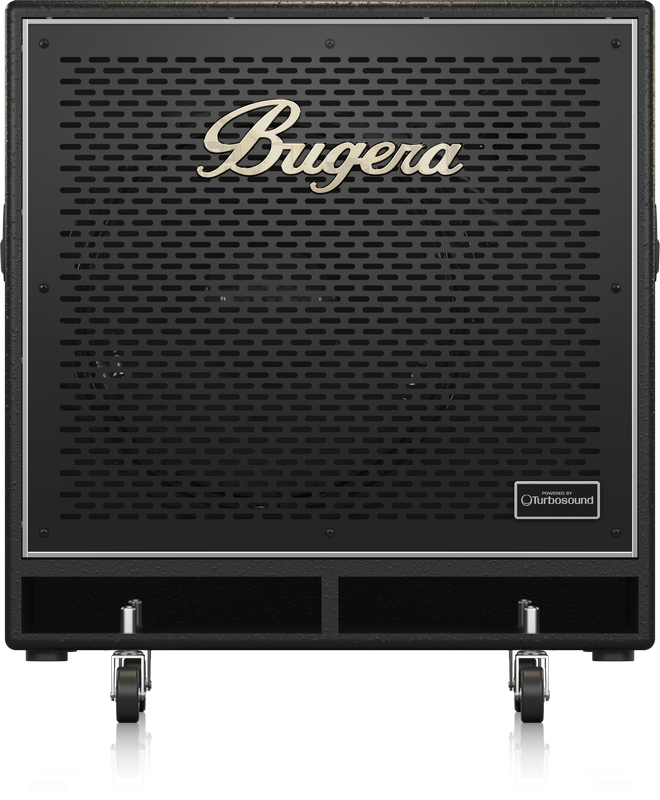 When massive low end is the name of the game, look no further than the BUGERA BN410TS. A lightweight and extremely-durable 2,800-Watt bass cabinet, the BN410TS comes loaded with 4 earth-shaking, British-engineered TURBOSOUND 10" speakers for massive lows and mids – and a fully-adjustable 1" horn driver for pristine, sparkling highs. Rounded out with ultra-high quality touches, such as recessed carrying handles, integrated rollers, a shockproof metal grille and reinforced corners, the BN410TS is a super-powerful bass cab – and a veritable force of nature! BUGERA is proud to incorporate world-famous, custom-engineered TURBOSOUND speakers into their products for the ultimate in high-quality audio reproduction. The BN410TS features 4 truly inspired 10" TURBOSOUND speakers with an impressive 2,800 Watts of power handling, enough to meet all your amplification needs. Find out more about TURBOSOUND’s amazing legacy by visiting their extensive website. To match the ideal amount of top-end sparkle to your more-than-ample lows and mids, the 1" HF horn driver’s level is easily controllable via the high-quality rotary attenuator, located on the rear panel. Custom tailor your sound for vintage and classic tones, or all the way to modern, percussive styles.